Alberto Morillas was born in Seville, Spain in 1950. For two years he studied at the School of Beaux Arts in Geneva, but is considered mostly self-trained in the art of perfumery, before joining Firmenich in 1970. 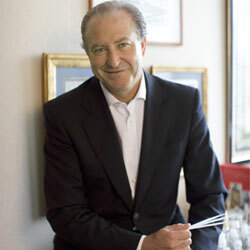 He was named Perfumer in 1977, and Master Perfumer in 1998. In 2003 Morillas won the Prix Francois Coty award. Alberto lives and works in Geneva, France, making regular trips to New York to meet clients. Morillas has created numerous fragrances in partnership with Bulgari, Calvin Klein Cosmetics, Carolina Herrera, The Estee Lauder Companies, Giorgio Armani, Givenchy, Kenzo, Lanvin, Thierry Mugler, Yves Saint Laurent, and Van Cleef & Arpels.